A very large park with a pond. 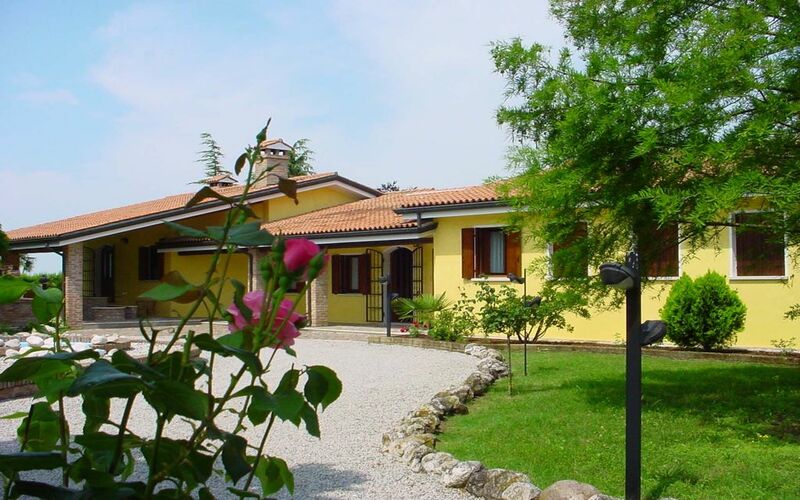 very large swimming pool, A half-hour from Verona, Ferarra, Padua. In a relaxing where there is only privacy. Every comfort in a spectacular A charming villa made available to tourists for the first time. Located in the center of the Venetian, framed by a hedge that surrounds the entire perimeter of the villa and its park, the "Belle Epoque" is a manor house swimming pool, pond, outbuilding and garages. It was born the smallest detail of the artistic personality of Luca. The whole area of ​​the "Belle Epoque" is suitable for every need. It is flat in totally isolated situation. 18000 square meter park with trees centenaries drums, such as willows, maples, poplars, Sequoias. The villa has been decorated by a team of Ferrara in charge of the renovation of frescoes. In open countryside, but only 1 km there is the largest shopping center of the low-Verona. THE LIGHTHOUSE with shops and supermarkets. At 20 minutes from Padua.